While many would share Scarlett O’Hara’s belief that there is never a convenient time for taxes, let alone a convenient time for tax problems, Canadians can take great relief in knowing that there is a convenient forum for resolving most tax problems. 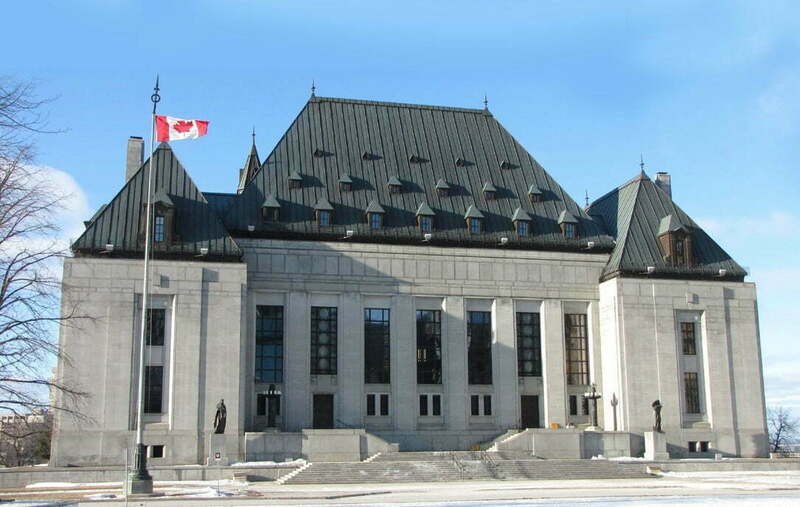 Although the Tax Court of Canada is one of Canada’s youngest courts, it has been described as “the Crown jewel of the federal court system”, a title which it has undoubtedly earned. Canada has not always had a dedicated forum for tax disputes. For the first thirty years following the introduction of the Income War Tax Act, 1917 (the predecessor of the current Income Tax Act), tax assessments could be informally appealed to the Minister of Finance and formally appealed to the Exchequer Court of Canada. The process of creating the Tax Court began in 1946, when the Income Tax Appeal Board was formed. Although formed as a court of record, the Board was essentially an administrative tribunal whose members were typically lawyers. Its decisions could be appealed to the Exchequer Court de novo, which permitted appellants to present a nominal case before the Board in the knowledge that they could present a full case before the Court. In 1970, the Board became the Tax Review Board, which was intended to be an informal forum for resolving tax disputes. While the Trudeau government believed that the informal nature of the Tax Review Board was its best feature, taxpayers would typically bypass the Board entirely and appeal to the newly constituted Federal Court – Trial Division. 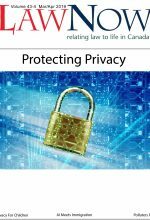 To address these concerns, the Tax Court of Canada was formed in 1983 as a court of record, and became a superior court of record in 2003. Since that time, the Tax Court has developed the rules, procedures and forms that are used today, and has become the primary forum for resolving tax-related disputes. The Tax Court is widely respected for its fairness and efficiency. The Tax Court has the jurisdiction to hear appeals under various statutes, but for most Canadians, it is the Tax Court’s power to hear appeals under the Income Tax Act, the GST portions of the Excise Tax Act, the Employment Insurance Act and the Canada Pension Plan that is important. The Tax Court is where most disputes under these statutes are resolved. However, the jurisdiction of the Tax Court comes with some important qualifications. The jurisdiction of the Tax Court does not extend to the “fairness” portions of the Income Tax Act and the Excise Tax Act, which grant the Canada Revenue Agency (the “CRA”) the discretion to waive penalties and interest. Taxpayers who are seeking this discretionary relief and who disagree with the CRA must apply to the Federal Court. The Tax Court also lacks the power to deal with disputes relating to provincial income taxes and provincial sales taxes, and has no jurisdiction to grant any relief where a taxpayer wishes to sue the CRA for damages. 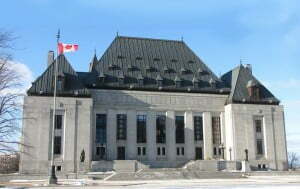 If a tax dispute relates to provincial income or sales taxes, or an aggrieved party wishes to sue, an appeal or action must be brought in the superior court of the relevant province (i.e. for Alberta disputes, in the Court of Queen’s Bench of Alberta) or, where appropriate, the Federal Court. Unlike a provincial superior court, the Tax Court’s powers are limited to those set out in federal legislation. With respect to the Income Tax Act, the Excise Tax Act and other fiscal legislation, the Tax Court of Canada Act provides for relief from Notices of Assessment issued by the CRA. The Tax Court may only uphold the assessment, vacate the assessment, or direct the CRA to reassess the taxpayer for some other amount based on its conclusions. The Tax Court’s powers are also limited by the statutes that impose the tax in dispute. The Tax Court is not empowered to make decisions on the basis that they will yield a fair result. Rather, the Tax Court can only make decisions based on its interpretation of the legislation. As a consequence, there are often circumstances where the Tax Court must acknowledge that it is rendering an unfair result and that it has no choice but to do so. Because of the Tax Court’s powers and jurisdiction, a common “trap” is the Tax Court’s inability to deal with appeals from assessments where no tax is payable. Since the Tax Court’s powers are limited to determining the correct amount of tax payable, and since it is not possible to have less than no tax payable, there is nothing that the Tax Court can do in these cases, and the Tax Court will have no choice but to quash the appeal. As would be the case with any court, the reputation of the Tax Court reflects the quality of its judges. Tax Court Justices are appointed by the Minister of Justice on the recommendation of a Judicial Advisory Committee, and everyone appointed as a judge was a lawyer for at least 10 years prior to their appointment. Many of the current Tax Court Justices were private-sector tax lawyers , while other Tax Court judges previously worked for the Department of Justice’s Tax Law Services group. The Tax Court and taxpayers benefit greatly from the collective expertise and differing perspectives of the Tax Court’s judges. When a lawyer is appointed as a Tax Court Justice, he or she is required to maintain a residence within 40 km of Ottawa, where the Tax Court is based, and judges travel from Ottawa to other cities in order to hear appeals. By structuring the Tax Court as a “circuit” court in this manner, Parliament was able to ensure that each different region of the country would have its cases heard by the same pool of judges, in order to ensure that tax laws are applied consistently across Canada. In addition, the presence of all of the judges in Ottawa facilitates collaboration between the judges. It is important to note that a tax dispute cannot be appealed to the Tax Court until the earliest of 90 days after a taxpayer files a Notice of Objection with the CRA, or within 90 days after they have received a Notice of Confirmation from the CRA after filing a Notice of Objection. Most tax disputes are resolved by the CRA at the Notice of Objection stage, avoiding the time and costs of going to court. If a Notice of Confirmation has been received and a taxpayer wishes to appeal, the first decision that must be made is under which Tax Court procedure the taxpayer wishes to appeal. The Tax Court has two procedural streams: Informal Procedure, which is a streamlined, lower-cost process with monetary limits, or the General Procedure, which is a more formal process similar to a traditional court action. In the Informal Procedure, taxpayers may represent themselves or be represented by an agent, such as an accountant. Most procedural rules and rules of evidence are relaxed in order to make the Informal Procedure process more accessible, and most pre-trial procedural steps are eliminated. However, any person willing to appeal under the Informal Procedure must agree to limit the amount of tax in dispute to $12,500, although there are current proposals to raise this maximum amount to $25,000. Most Informal Procedure appeals will proceed to trial within a year of the filing of a Notice of Appeal, unless the taxpayer and the CRA settle before then. In the General Procedure, taxpayers are typically represented by lawyers, although some taxpayers represent themselves. Many General Procedure cases involve significant amounts of tax or complex legal questions, so a formal process is necessary to ensure that the issues in dispute are understood and that all relevant facts will be presented. There are significant pre-trial procedural steps (i.e. discovery of documents and oral examinations) that must be completed, and significant amounts of time can elapse before General Procedure cases will be ready for trial. Once a procedural stream is chosen, a Notice of Appeal must be filed within 90 days of the date that the CRA issued the Notice of Confirmation. The form for a Notice of Appeal can be found on the Tax Court’s website, and the completed Notice of Appeal may be filed online. If the Informal Procedure is chosen, there is no filing fee for the Notice of Appeal. Once a Notice of Appeal is filed, the Department of Justice will prepare and file a Reply to the Notice of Appeal within 60 days. For Informal Procedure appeals, the pre-trial process is completed once the Reply is filed, and the Tax Court will schedule a date for the appeal to be heard in the city chosen by the taxpayer. At an Informal Procedure trial, both the taxpayer and the CRA (through the Department of Justice) will present their evidence and make arguments. 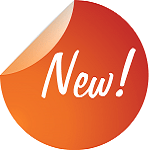 Typically, an Informal Procedure trial will last for less than a day, and the judge will often provide an oral decision on the day of the trial or the following morning. While thinking about and paying tax may be unpleasant, the Tax Court of Canada allows for tax disputes to be resolved in a manner that minimizes the unpleasantness. The expertise and efficiency of the Tax Court provide a real benefit to Canadian taxpayers, and the future is bright for our youngest superior court. This is an awesome article. May I post it on my web site with full credit to you? I visited your web site and like what your firm says they stand for and that your firm is mostly tax related. Hi Dan – I will pass your message on to Mike. Thanks for commenting! Michael Dolson is a Partner at Felesky Flynn LLP in Edmonton, Alberta.